Welcome to Flamborough Bowling club website. Please use the navigation at the top to view the fixtures and results. All results will be recorded, so check back on our progress this season. If you find any incorrect scores or fixture times, please contact us so we can update the website. 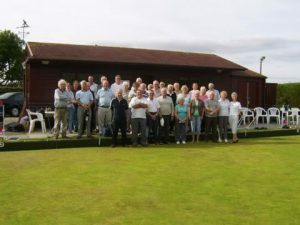 Flamborough Bowling Club was set up in 1994 with the objective of creating a Bowling Green for the residents of Flamborough. Since then the Club has entered teams into the Driffield & Scarborough leagues with great success and regularly have friendly matches against other teams from the local area. FBC Open Day is open to anyone interested in playing bowls it is being held on Sunday 5th May from 1.15 pm please come along and try your hand at bowls. Beverages, bacon butties and cakes will be available. Don and Mabel Freear Don the Generous Benefactor to Flamborough Bowling Club died on 13th of March 2018 at the age of 94. Don and his wife Mabel enabled the founding of our club by donating land for the building of the pavilion and bowling green. 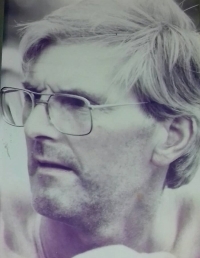 Don continued right to the end to take an active interest in all the clubs social events, AGMs and league fixtures even though his playing days had ended. He will be greatly missed by all members who will recall his kindness and generosity of spirit and his desire to see the club flourish and maintain its open friendly atmosphere.